Last week our founder Andrew Faris was interviewed by the Huffington post on the Severe Weather Emergency Protocol. The article looks to discuss whether or not the British government was well-equipped enough to handle the flow of London’s rough sleepers into shelters during the early March snow storm. Many of the rough sleepers who were interviewed for the piece said they struggled to find a shelter that didn’t turn them away. The article raised questions over the government’s long-term ability to handle the number of rough sleepers on London’s streets during the winter. However, the piece did point to the app StreetLink as a hopeful initiative to helping London’s rough sleepers. Nevertheless, the article, in the end, commended the work of the British people who showed that they too could help with even the smallest gestures, such a buying a rough sleeper a sandwich. To read the article and watch out CEO Andrew Faris discuss this issue, please click here. The London Marathon is fast approaching and we’re delighted to announce that Ed Scott will be taking part to raise money on behalf of Rhythms Of Life. Ed told us his reason for taking on the challenge; “I’ve always wanted to do something to help out this charity and now hope I have the perfect opportunity.” Training for and running a marathon is a major commitment, so we’re full of admiration for Ed and couldn’t be happier that he’ll be representing us on the 26.2 mile course through London’s streets. Ed’s determination to take part in the marathon is even more impressive when you consider he has spent much of the last six months receiving sports therapy for a knee injury. Thankfully Ed is very much on the road to recovery and fully into his training schedule. All money raised will go directly towards funding our ongoing efforts to help feed, clothe and care for those in need sleeping rough on London’s streets. Ed said; “I hope some of you will follow my progress over the coming months and, who knows, maybe even see you on the 22nd April!” We’ll definitely be cheering from the sidelines. Go Ed! Visit Ed’s JustGiving page to donate to his fundraising efforts. If you’d like to fundraise for Rhythms Of Life by participating in a sponsored challenge email us at info@rhythmsoflife.org.uk or visit our donations page for more information. The whole Rhythms of Life team is super excited about our brand new van! Look at it, all bright and shiny, doesn’t it look lovely? We are proud to say that we are up and running and ready to serve! In case you don’t know, with the help of our amazing volunteers, we have already served more than three hundred thousand meals! Keep following us for exciting updates about our imminent birthday celebration! That’s right, our ninth birthday is approaching fast and we are, of course, super excited about it! Also, soon to be released the stories of a few of our current beneficiaries! The whole team wishes you a great weekend and… stay tuned! Rhythms of Life, a homeless charity founded by a former rough sleeper, is threatened with eviction from its Covent Garden office, due to plans for redevelopment. 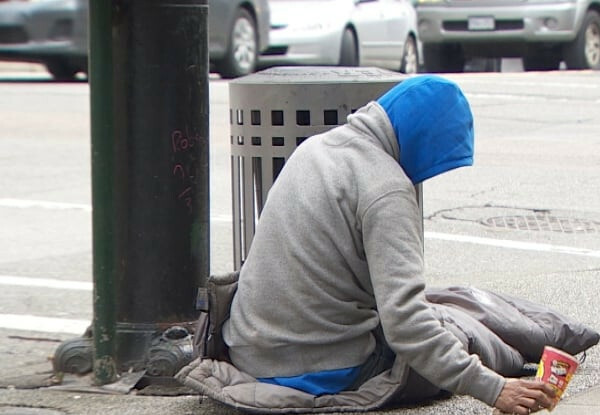 The charity serves over 35,000 meals to rough sleepers per year, and also teaches literacy, numeracy and employability skills, but these services could come to an end if a new premises is not secured soon. Therefore, the charity is calling for Londoners who can help find a new office space to come forward. Andrew Faris, the founder of Rhythms of Life and a former rough sleeper said: “We’re launching an appeal to your readers to get in touch via our website if they have any leads which could help us find a new premises. We are open to offers from across London – we operate out of office spaces which would otherwise be vacant. We take great care of the buildings we use and serve as custodians in exchange for peppercorn rent. Rhythms of Life intends to leave their current premises with a bang – by celebrating the charity’s ninth birthday with a benefit concert, featuring homeless performers and an auction of goods supplied by partners, on Friday 31st March. The charity was founded in 2008 by former rough sleeper Andrew Faris, who made it his mission to run a not for profit which treated London’s homeless with the dignity and respect of which he felt robbed during the six years he spent living on the street. In this time, the charity has served over 300,000 meals to the homeless across London. Aija tells me that today is the best day of her week. Why? Because today, she attends our art class. Come rain or come shine, Aija arrives at the Rhythms of Life headquarters every Wednesday to attend our art class. She tells me that the workshop is the one thing that takes her mind off her situation. Like all of our service users, Aija is homeless. When she wakes up, Aija doesn’t know where she will sleep that night. After leaving school at 18, Aija got an office job as a secretary. “It was a very good job, the best job that I could have as a woman.” But she didn’t stay for long. After the fall of communism, work was harder to come by but she found a job in security. Aija’s life was transformed when she met an American man in Riga. They began a whirlwind romance, and Aija followed him back to the United States, where they lived together in New York. But they didn’t stay put for long, and Aija travelled the world with her American partner, living for a number of years in Australia. Eventually, the pair moved back to Riga, got married, had a son. Sadly, the marriage broke down shortly after Aija gave birth. Aija lost custody of her son when her ex-husband moved back to the US, and she stayed in Riga. It was then that Aija struggled to pay her rent and fell into a debt crisis. “I started to gamble everything I had. I could not find regular work, whenever I made money, I gambled it instantly and lost everything. It is a bad habit, I have ruined everything by gambling. Because of her addiction, Aija ran out of people in her life that she could turn to for support. In desperation, she scratched together enough money to fly to London, where she hoped to turn over a new leaf. But old habits die hard, and Aija is still homeless ten years later. She has recently left supported accommodation because she could not fulfil the debt she owed for missed payments. Since January, Aija has been finding regular work as a cleaner, and dreams of returning to Riga. She has patched up relations with her mother, but she can’t help herself from gambling her earnings. Read more: Our service users surprise Ryan on his 50th birthday! Rhythms of Life volunteers surprise a service user with a birthday gift! Today, our friend Ryan celebrated his 50th birthday. Sadly, Ryan is not accustomed to receiving gifts and acts of kindness anymore. But this year, thanks to a kind donation of Adidas footwear, our volunteers changed this trend and gave Ryan a 50th birthday to remember. Ryan, who doesn’t like to say how long has been sleeping rough (although he has been known to the charity for several years at least), was once a successful chef and worked in Scotland for over eighteen years. Having gone from eating our food to distributing it himself, Ron knows Rhythms of Life better than most people who pass through our doors. Shortly after our charity was founded, Ron, who was sleeping rough at the time, came to our attention. Over several years, Ron forged a close relationship with the team at Rhythms of Life, and learnt I.T. and financial management skills from our classes as he rebuilt his life. Ron now lives in a council flat in Hackney. As recently as last year, Ron was a regular volunteer who collected food from our partners and prepared it for distribution. “My name is Stevie, I’m 59 years old, and people say I look like Fagin from Oliver Twist. I don’t know if you agree. “What keeps me going is my dog, which I found in a terrible condition. I feel less lonely because of him. He is my only real friend. “Yes, I am homeless. It’s really hard to live like a normal person. You get used to living in the street and sleeping on the ground. I used to live in different countries and places like France, Germany, and Sweden – I was fluent in French and German when I was younger. “I never expected to live like this. I just want to settle down. I want a bed to sleep in, a shower to wash myself, my own room and some food. “I first came across Rhythms of Life a year ago or so, I get meals here three times a week. Sometimes I get food from other charities too. “I’ve been offered volunteering opportunities, but I prefer to look for paid work. I want to prove that I’m socially acceptable, and to improve my lot in society. “It’s tough – I’m trying to find work as a driver, but I don’t get many hours at all. But, I won’t give up. Today, our founder, Andrew Faris, spoke to Matthew Bannister on the BBC World Service’s Outlook programme about his life story, experience of homelessness and how he came to found our charity. Click here to read more about Andrew Faris’ incredible life story. Today, the Homelessness Reduction Bill, a private member’s bill put forward by Conservative MP Bob Blackman, passed its crucial third reading. 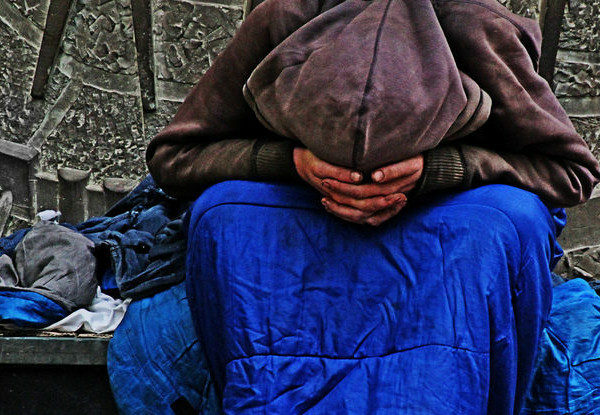 The bill’s passages follows official figures from the Department of Communities and Local Government which show that the total number of rough sleepers on any given night in 2016 rose to 4,134, a 16% increase from 2015. In response, Andrew Faris, chief executive of Rhythms of Life, and a former rough sleeper, said: “We welcome the cross-party consensus for Bob Blackman’s Homeless Reduction Bill which demonstrate that homelessness is a problem which transcends party politics. “If this very important piece of legislation is passed then homeless people will no longer be told that their local council does not have a duty to prevent them from sleeping rough. This is an essential step in eradicating rough sleeping in the United Kingdom. “I know from personal experience that homelessness destroys people’s physical and mental wellbeing. Homeless people are among the most vulnerable in our society, and it’s important that we work together to take on Britain’s homelessness crisis. 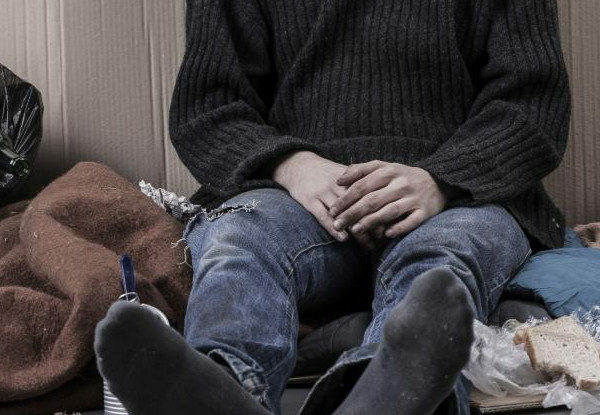 “However, given that the number of rough sleepers on our streets has more than doubled since 2010, and Local Authorities face a £192m funding gap by 2020, we’re appealing to the government to work more closely with charities in the sector to help rehabilitate rough sleepers, so that they can receive the support they need to rebuild their lives. Rhythms of Life is a homelessness charity which operates in Central London. We provide sustenance, dignity and opportunity to London’s homeless. Every night of the year, our volunteers distribute meals, clothing and personal hygiene supplies to rough sleepers. We also help rough sleepers rebuild their lives by teaching literacy, numeracy and employability skills. Today, our founder, Andrew Faris, spoke to Share Radio about our charity, homelessness, and his incredible life story. To read more about Andrew Faris’ life and the story behind our charity – click here.